Get the Hamptons Look with Coral Homes at North Harbour! North Harbour’s association with Coral Homes goes right back to the beginning of our community with the Coral team opening the very first North Harbour Display Home in March 2016. Coral Homes is one of the largest, most respected home builders in Australia, with a huge building area and display home network. We are proud to have three Coral Homes designs on display at North Harbour, the Noosa 25 MKII, the Milan 27 and the Lisbon 31. For more information on Coral Homes at North Harbour or to enquire about purchasing a Coral Homes house and land package please read on or click here. The Lisbon 31 is a Hamptons style home offering a choice of 10 floor plans. This spectacular and innovative single storey design series delivers on space where you need it most, starting from 23.4sqm all the way up to 34.9sqm. The Lisbon 31 is one of the most popular designs at North Harbour, featuring four-bedrooms, a luxurious master with ensuite and walk-in-robe located to the rear of the home for added privacy. If you require extra space, the Lisbon series offers three generous living areas and boasts a huge outdoor living zone perfect for entertaining and growing families. This home has wide appeal as it is in the extremely sought-after Hamptons style with exterior weather board paneling, wide and welcoming central front doors, plus double gable roof. From the moment you walk through the doors of the Lisbon 31 Hamptons home, you’re greeted with timeless elegance, luxury fixtures and fittings you would expect from a Hamptons or Cape Cod home design. The Lisbon 31 from Coral Homes showcases the latest East Hamptons façade, using classical Hamptons colour pallets, fresh whites and soft greys. Inside, the dark wooden flooring flowing from entrance to open-planned living spaces adds to the timeless feel. This home is styled to perfection, with caesarstone kitchen benchtops, shaker style kitchen cabinetry, butler pantry and an open-plan living floor plan which seamlessly flows out onto a generous outdoor entertainers’ area including a gorgeous Hamptons style outdoor bench and pergola. 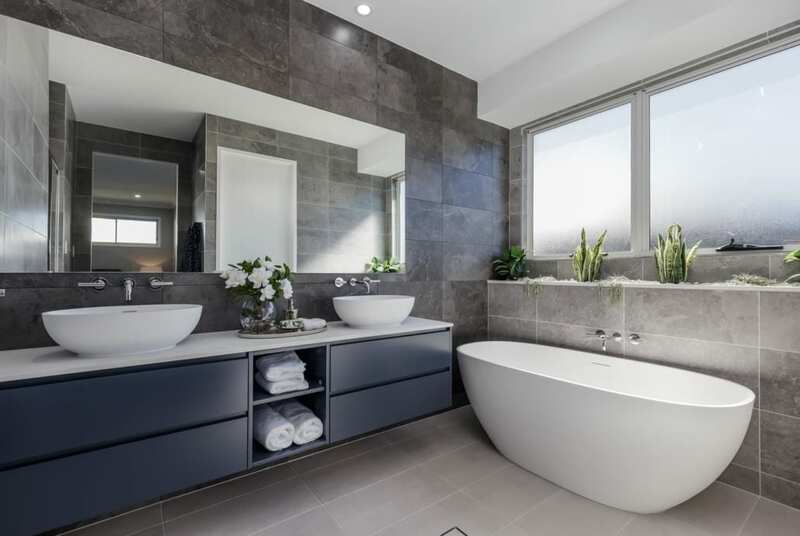 You can look through this beautiful Display Home in person 10am-5pm, 7 days a week and walk through virtually by clicking here any time you like! The Noosa 25 MKII is another beautiful design. With a Calais Façade, the Noosa home design series caters to the needs of everyone in the family from the kids’ generously sized bedrooms to luxurious master bedroom retreat for the grown-ups. This home’s open plan heart seamlessly links to the spacious outdoor living area and offers smart design, relaxed living, and all the flexibility you need to create a home with everything your growing family could ever need. Coral Homes’ third design at North Harbour is the Milan 27. 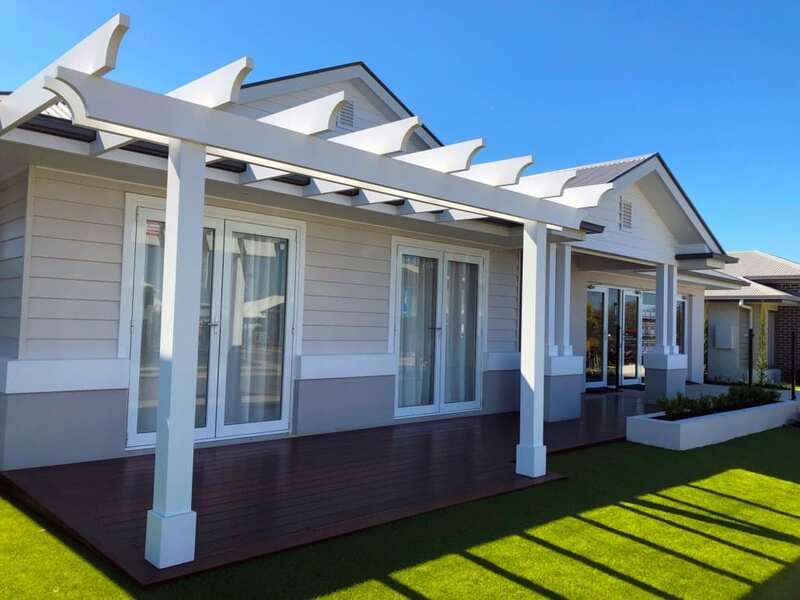 The Milan 27 has a Pavilion Façade, and is a functional single storey home designed to fit on both Narrow and Traditional lots, with eight floor plans to choose from, all boasting four bedrooms and double garage. And, if you want to change or flip the front of this home to suit your aspect, Coral’s ready to go, pre-designed options for the larger floor plans of the Milan, allow you to convert this clever home design to a five bedroom with two living areas. 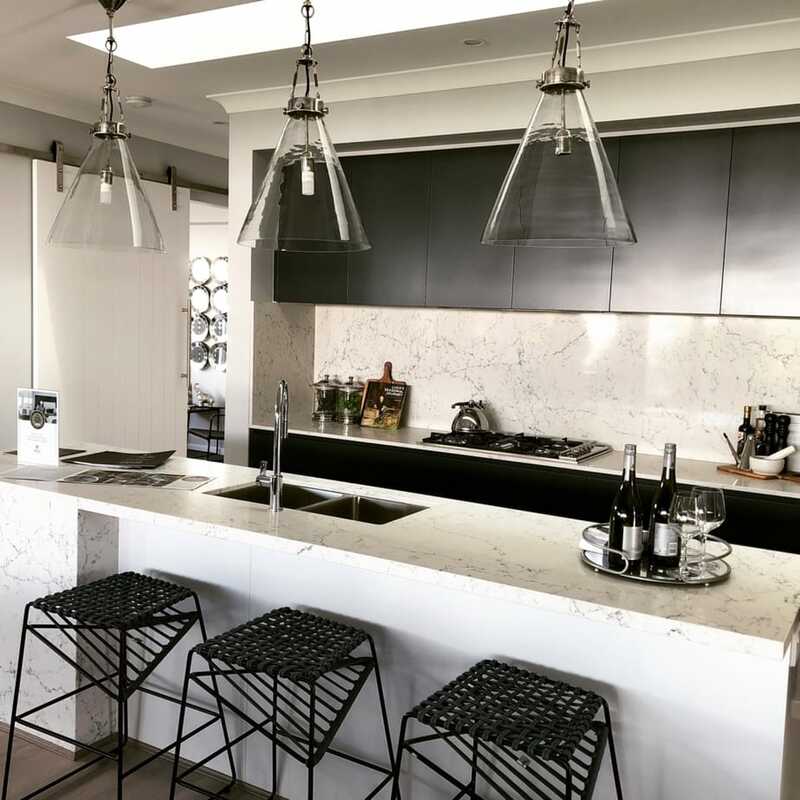 At the back of the home is a central kitchen, spacious open plan living and dining areas which flow out to an outdoor area, perfect for all-year round entertaining. Whether you’re looking for functionality, privacy or more living space, The Milan has got you covered. 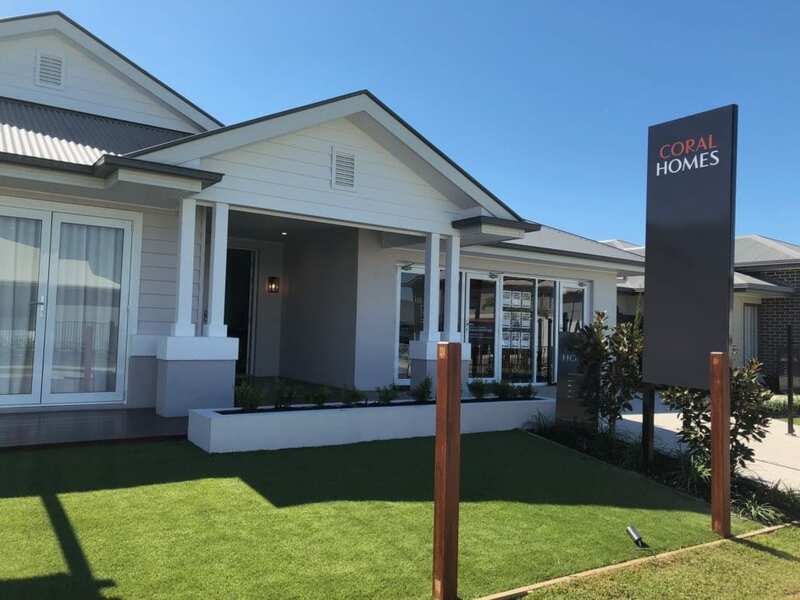 North Harbour’s Sales and Information Centre & Display Village (including three displays from Coral Homes) is open seven days a week, 10am-5pm. Located on the corner of Buckley Road and Fraser Drive in Burpengary East, North Harbour just 15 minutes from North Lakes. Our 33 home Display Village showcases brand new designs from 17 of Australia’s best builders. North Harbour is the winner of the UDIA Queensland Award for Best Residential Subdivision and is EnviroDevelopment Accredited. To find out more about house and land packages at North Harbour please contact us. Every weekend is packed at North Harbour! Friday and Saturday 4pm-10pm BITE Markets at North Harbour is a brand-new food experience within our growing North Harbour community. With over 40 flavour makers, live entertainment and a children’s play zone, it’s the perfect place to eat, drink, spend time with friends and family. Located at exit 150 off the Bruce Highway on Nolan Drive. Click here to find out more. North Harbour parkrun: 7am, every Saturday. Free 5km cross country run/ walk around the future Heritage Park. Sunrise Yoga in the Park: 7am every Sunday. Free yoga class to suit all levels in Reflections Park. North Harbour Café is also open every weekend. https://www.northharbour.com.au/wp-content/uploads/2019/04/Lisbon-lounge.jpg 924 1232 Client Services https://www.northharbour.com.au/wp-content/uploads/2017/03/North-Harbour-Logo.png Client Services2019-04-18 06:00:442019-04-17 09:56:05Get the Hamptons Look with Coral Homes at North Harbour! 1000 Acres of Open Space & Parkland, Free Weekend Fitness, Fast Broadband & More – Time to Check out the House and Land Packages at North Harbour! North Harbour has the largest area devoted to open space and parklands of any development within the northern corridor (the area between Brisbane and the Sunshine Coast). Our open space and parklands will span 1000 acres on completion of the development (we’re moving ahead quickly, three new parks are scheduled to open this year, bringing our total to five) and this is often cited by buyers as a main reason for choosing to purchase house and land packages at North Harbour. The Village Park is located in Moreton Bay Boulevard, close to Normanby Crescent in the centre of the development. It incorporates two areas of play equipment to suit both older children and pre-schoolers and has free Wi-Fi, shelters, drinking fountains (for people and pets) and BBQs on 6000m2 of beautifully landscaped space. Very popular with both residents and visitors, the Village Park has become the centre of North Harbour’s community playing host to many events, birthday parties, playdates, Cam’s boot camps and much more. Our second park, Reflections Park is located on the south-western side of North Harbour near the Raff Creek Environmental Corridor. Reflections also includes play equipment aimed at young children, exercise equipment, BBQs and shelters. Reflections is also home to Sunday Sunrise Yoga in the Park, which is a free yoga class, suitable for all ages. Habitat Park is adjacent to the upcoming Terrace Homes and is scheduled to open in mid-2019. Habitat Park will include an off-leash dog exercise area, play equipment, a wetlands area with bird hide and shelters, BBQs and fitness equipment. Riparian Park, which will include play equipment aimed at older kids such as a flying fox and basketball half court and shelters, BBQs and fitness equipment. Riparian Park is also scheduled for completion in mid-2019. Riparian Park is located on the same side of the development as Reflections Park. The Heritage Park is a $3M facility which will open in late-2019 and offer fishing platforms/ canoe launch, BBQs and picnic amenities including toilets, heritage trails and an interpretive centre. The Heritage Park area is currently able to be accessed on Saturday mornings at 7.00am for those participating in the free, weekly North Harbour parkrun. For more information and directions please click here. To find out more about House and land packages at North Harbour please contact us. As well as the free fitness equipment offered in Reflections Park, North Harbour also has free fitness options. These are open to all ages and levels – and everyone is welcome. The North Harbour parkrun is a free cross country run, located in the future Heritage Park along the beautiful Caboolture River. For more information visit https://www.facebook.com/northharbourparkrun/. Sunrise Yoga in the Park is held at Reflections Park at North Harbour every Sunday at 7am. It is a free event, suitable for beginners to experienced yogis. For more information see https://www.northharbour.com.au/events/. North Harbour’s Sales and Information Centre & Display Village with café and two playgrounds is open seven days a week, 10am-5pm. 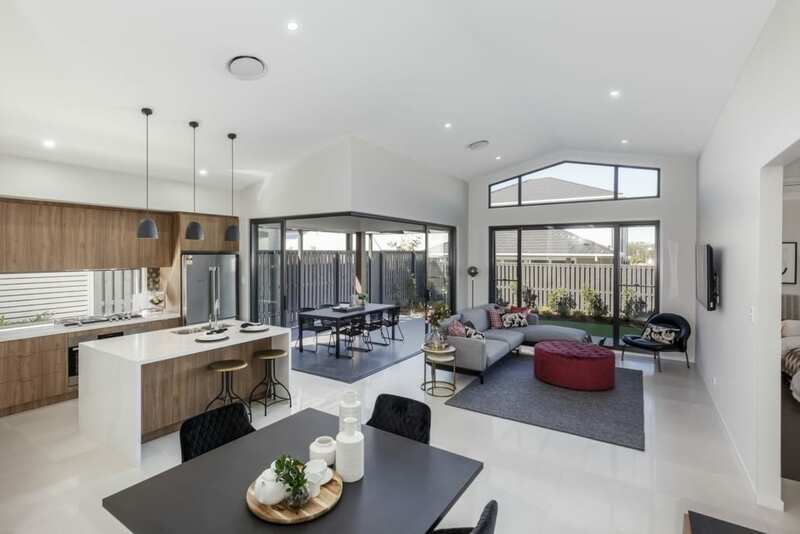 Located on the corner of Buckley Road and Fraser Drive, Burpengary East, the Display Village showcases 33 brand new homes designs from 17 of Australia’s best builders. North Harbour recently won the UDIA Queensland Award for Best Residential Subdivision and is EnviroDevelopment Accredited. BITE Markets at North Harbour is a brand-new destination within the growing North Harbour community which has transformed weekends on the Northside! It’s the perfect place to eat, drink, spend time with friends and family, a place everyone is welcome, full of colour, adventures, wonderful food, entertainment and all sorts of flavours celebrating produce from the Moreton Bay region! Located at exit 150 off the Bruce Highway on Nolan Drive, open from 4pm-10pm every Friday and Saturday night. For more information, visit bitemarkets.com.au. https://www.northharbour.com.au/wp-content/uploads/2019/03/atp_portfolio_northharbour_0718_0724.jpg 924 1384 Client Services https://www.northharbour.com.au/wp-content/uploads/2017/03/North-Harbour-Logo.png Client Services2019-03-21 06:00:392019-03-20 12:39:001000 Acres of Open Space & Parkland, Free Weekend Fitness, Fast Broadband & More – Time to Check out the House and Land Packages at North Harbour!